Yesterday started out fine but in the afternoon a line of dark cloud and rain came over. It was clearing by late afternoon, and it looked promising for a good sunset. Conditions were difficult, with squalls coming through. The first shot was taken just before sunset and the second after. 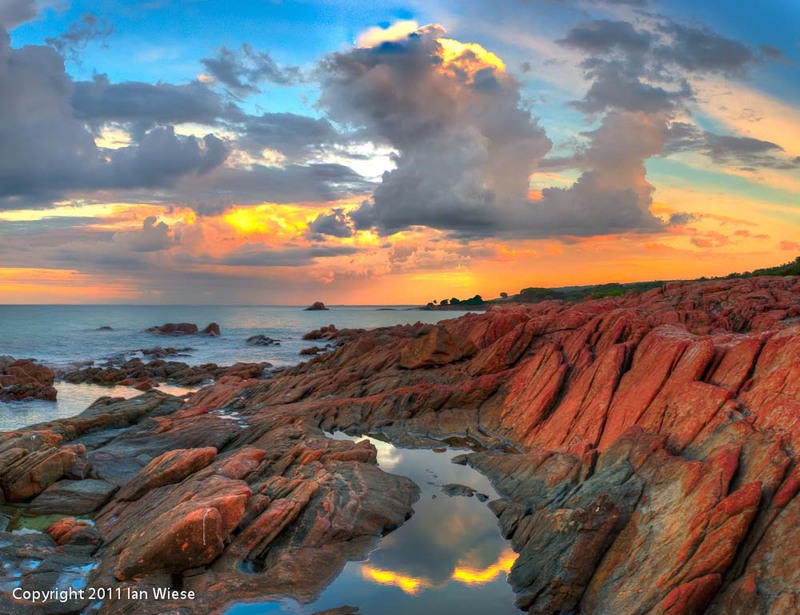 This entry was posted on May 5, 2011 by ianwiese. It was filed under Landscape, Pt Picquet and was tagged with clouds, ocean, Pt Picquet, squalls, sunset.